We deal with self employed and partnership accounts. 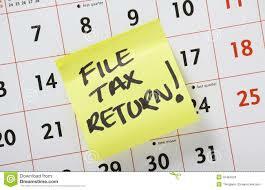 The deadline is for 17/18 tax returns, and are required to be filed by 31st January 2019. After April 2019, you will be able to have 2018/2019 filed, and we offer discount for clients who come to us earlier (*see below) and also it means that it is easier for you to plan for any tax you may have to pay or receive a refund sooner if this is due to you. If you have missed the deadline for self assessment, we can help you to avoid any further penalties and interest charges, by using our fast turnaround service, we are also extending our office hours to cope with the added demand. January is one of the busiest times of the year for bookkeepers and accountants as we near closer to the self assessment tax return deadline, therefore it is best practice to have this sorted as soon as possible so that you don't miss the deadline! The deadline for 16/17 self assessment tax returns online is 31st January 2018, if you miss this deadline we can still deal with this on your behalf. Next deadline 17/18 by January 2019. APRIL 2019 & MAY 2019 - 15% off. JUNE 2019, JULY 2019 & AUGUST 2019 - 10% off. SEPTEMBER 2019 & OCTOBER 2019 - 5% off. NOVEMBER 2019, DECEMBER 2019 & JANUARY 2020 - NIL DISCOUNT.